A call this morning to the City Hall office of James T. “Jim” Smith Jr., Mayor Catherine Pugh’s chief of strategic alliances, went right to voicemail. Several others likewise went to voicemail. Could it be because Smith was in Baltimore County this morning, campaigning for county executive candidate Vicki Almond? 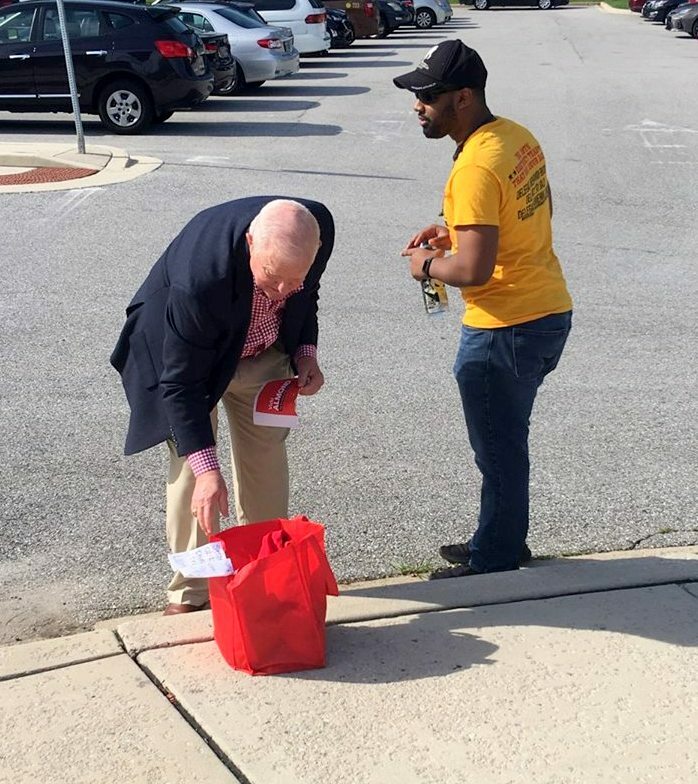 In one photo, which Brochin said was taken at a polling place in Randallstown, Smith is holding a red Almond brochure, leaning down to a red bag. 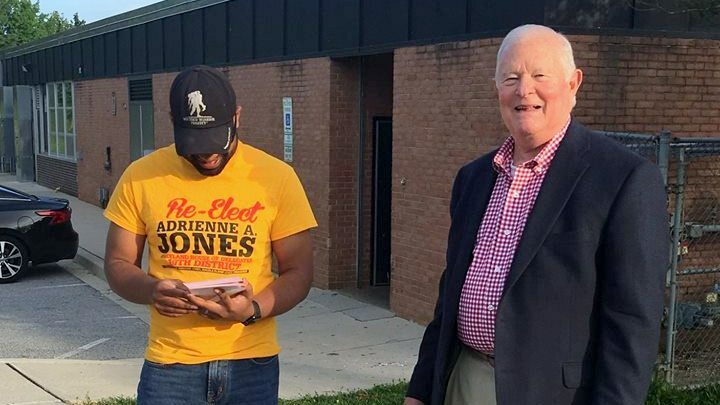 In another he’s smiling at the camera, standing besides a man campaigning for Del. Adrienne A. Jones. As The Brew has reported, Smith has been using his Baltimore County Victory Slate to bankroll Almond’s campaign, paying for mailers attacking Brochin and a recent one lauding Almond. Smith’s Victory Slate previously has run afoul of campaign finance laws. The group, which dates back to when Smith was county executive, was fined $3,000 and given a civil citation for loaning $100,000 to Pugh just days before she narrowly won the Democratic primary for mayor in 2016. That loan was illegal because Pugh was not a member of the county slate and was instead a candidate for a city position. The slate’s current activities, focused on a county race, appear to be within the rules.